One of the many great features of our award-winning CRM is an easy-to-use yet powerful email marketing solution. ProMax Email Campaigns give you everything you need to take your email marketing to the next level and track your success every step of the way. Use our advanced filters to target select groups of prospects and/or past customers and draw them in with great looking, professional email campaigns. Robust HTML Editor- Want to design your own messages? All the basic and advanced options you could want: text styles, images, tables, links, colors, and more are available with one click. Advanced Analytics - All the data you need to evaluate your campaigns on easy to read reports. Track Opens, Clicks, Bounces, and much more, all with drilldown reporting that enables you to get as granular as you like. ROI Tracking - Clicks and Opens are great, but the REAL question is how much gross did your campaign generate? You’ll know every detail with our ROI tracking; from Appointments to Shows to Front and Back Gross and more, all presented in easy to read charts and graphs. A/B Testing - Truly take your email marketing to the next level with easy-to-use A/B Testing. Try out different subject lines or special offers and send variations out to select groups to see what types of messages work best. Or use the same subject line but two different templates and see which generates more clicks. What template gets you the most Shows? The possibilities for fine-tuning your message are endless, and anyone can do it. 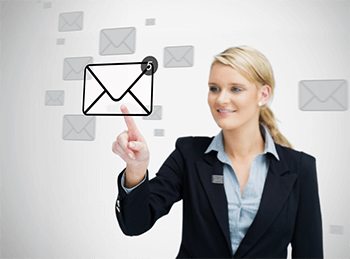 Everything you need is in ProMax Email Campaigns! No need for guessing or excuses when it comes to your email marketing efforts, and no need to pay an outside company to track campaigns or generate templates. 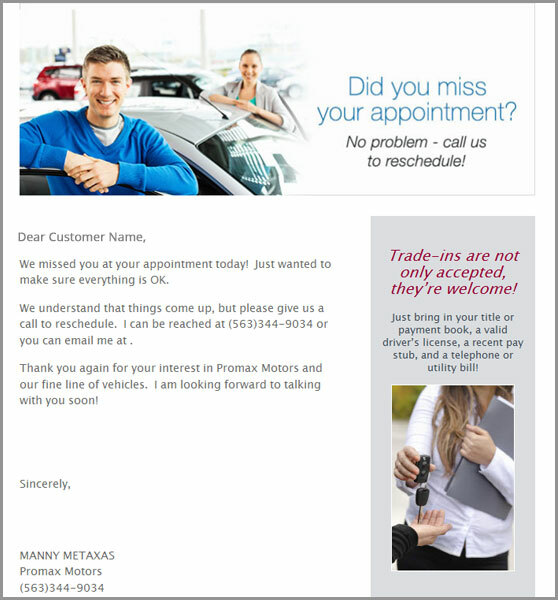 ProMax Email Campaigns are the answer to all of your email marketing needs.